The University of Klagenfurt (AAU) is a young, lively and innovative university at the intersection of three cultures. It is the largest academic educational institution in Carinthia and a hub for knowledge acquisition, knowledge exchange and knowledge transfer in the entire Alps-Adriatic region.  Internationality has been an important characteristic of the University of Klagenfurt since its foundation in 1970. The University of Klagenfurt is an organisation in which around 1,500 employees from 48 countries and around 12,000 students – 2,000 of them international students from over 100 countries – work, teach and learn together. Whether you as an international student or researcher need a visa to enter Austria depends, among other things, on which country you come from and how long you would like to stay in Austria. Please note that the University of Klagenfurt can provide you only with information on entry and residence. Only Austrian authorities are entitled to give information on your application and related matters. Nationals of Belgium, Bulgaria, Cyprus, Czech Republic, Denmark, Estonia, Finland, France, Germany, Great Britain, Greece, Hungary, Iceland, Ireland, Italy, Latvia, Liechtenstein, Lithuania, Luxemburg, Malta, Netherlands, Norway, Poland, Portugal, Romania, Slovakia, Slovenia, Spain, Sweden or Switzerland are allowed to work in Austria without any further permit (e.g. work permit) being required. 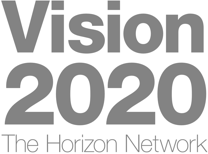 Croatian nationals still need a work permit for gainful employment due to transitional arrangements until 2020. If students are carrying out a job that is not subject to the regulations of the Austrian Act Governing the Employment of Foreign Nationals, students do not need a work permit. Activities that are not subject to the regulations of the Austrian Act Governing the Employment of Foreign Nationals are for example: activities within the framework of exchange or research programmes of the European Union or activities in academic teaching and research. Students from all other countries (“third countries”) who are in possession of a residence permit for students (“Aufenthaltsbewilligung – Studierender”/ “Residence Permit – Student” ) are allowed to work to a limited extent and in accordance with the regulations set down in the Austrian Act Governing the Employment of Foreign Nationals (Ausländerbeschäftigungsgesetz – AuslBG), which as a rule requires a work permit. Activities that are not subject to the regulations of the Austrian Act Governing the Employment of Foreign Nationals are activities in academic teaching and research. Students with a valid “Residence Permit – Student” receive – regardless of whether they are studying for a Bachelor’s, Master’s or Doctorate degree in Austria – a work permit for employment that does not exceed 20 hours per week. This work permit is issued by the competent Labour Market Service (AMS) without a prior labour market examination. Students from third countries have the opportunity to apply for an extension of the “Residence Permit – Student” for a maximum of twelve months after completing their studies in Austria for the purpose of finding a job.